After nearly a year with their heads buried in sonic experimentation, electronic production duo Editor have emerged with their debut release Interview Techniques. This full length album is heavily rooted in the style of dubstep yet encompasses aspects of dub, minimal electro, reggae, hip hop and other broken beat styles. The overall result is a journey through the sonic spectrum with interweaving twists and turns tied together by richly textured channels of groove, ultra slick production and discerning musicianship throughout. 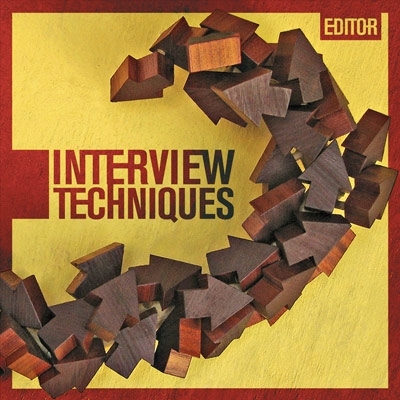 Described by some as ‘wonky bass’, the unique style exemplified in Interview Techniques takes influence from artists as diverse as King Tubby, Miles Davis, Timbaland, RZA, Rusko, Tes La Rok and Flying Lotus to name a few. Listeners are drawn in immediately through the propulsion of heavy beats, wobbling bass, sci-fi lazers, curious vocal samples and contrasting shades of light and dark. Behind the Editor moniker is Melbourne musicians Thomas ‘Soup’ Campbell; Producer from Melbourne Downbeat group Miso and Richard Burns (The Red Eyes) The duo formed in late 2008 through a mutual passion for different styles of music and a respect of each other’s musical prowess. Aside from the countless hours spent in the studio the pair have been honing material for Interview Techniques at festivals, clubs and parties (including a foundation shaking show at Rainbow Serpent Festival) performing live using laptop computers, synthesisers, trumpet, percussion and more. They accompany this with striking visuals referencing vintage video games, Japanese sci-fi, psychedelic animation, evolution and other peculiar oddities warped for sensory delight. After just their first show Editor caught the ear of accomplished electronic music producer Spoonbill who was quick to offer support through his label Omelette Records. In a burgeoning Aussie dubstep scene Editor looks to immediately join the forefront with their debut release of Interview Techniques.